Mr. Mooney has a fight with his wife, so Lucy orders some flowers. Eddie, the florist delivery man, arrives with the arrangement and is recognized by Mooney as a former boxer. Eddie needs $3,000 to buy the florist shop from the owner, but can't get a loan from any banker, so Lucy intervenes. 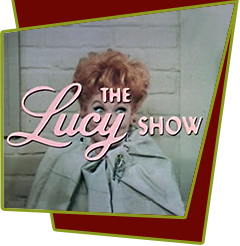 When Mr. Mooney won't loan Eddie the money to open the flower shop, Lucy offers to manage him as a fighter to raise the needed amount of money. Special Notes: Standup comic Don Rickles was making quite a name for himself as a sitcom guest star at this time. Lucille had a hard time working with him as she never knew when he was kidding and when he wasn't. There was no time to be a clown, except when you were supposed to be. Lucy didn't like working with him.